I remember getting an email from Luiza a few weeks before their engagement session asking if the photographs on my Instagram were all of models, haha! This was both really funny and also incredibly flattering. Nope, I told her! She opened up to me about how nervous both her and Derrick were about being photographed, she said "I don't think we know how to take pictures that look so natural." 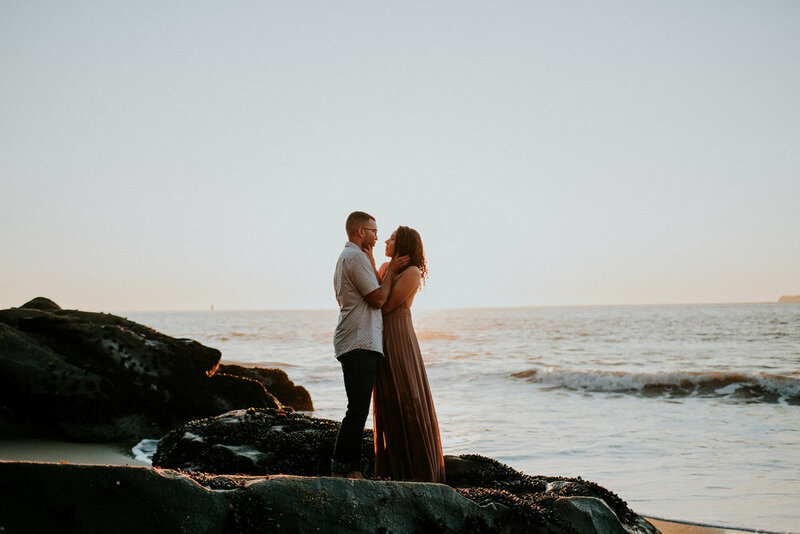 I'll tell you right now that most of my clients share those exact thoughts, because let's face it, it IS strange to have someone you just met pick up their camera and capture little nuances and intimate moments. "Haha! I love your question! Nope, all the people you see on my Instagram and website are my real clients, they aren't models. I'm sure they would appreciate that compliment though! You're absolutely not the only couple to be nervous about their shoot. I ask that you bring lots of love and affection for one another, and remember to have fun!! I want you two to think less about posing and just be in the moment together. Don't be afraid to move around, to make each other laugh. Almost all of my clients have never had professional images taken of them, so I will definitely help you with direction and some posing. 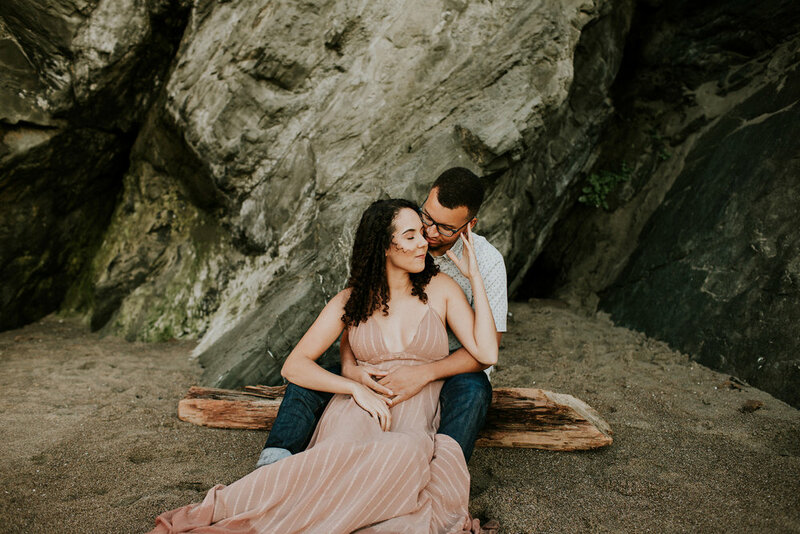 During the shoot I will ask you to snuggle, laugh, hug, maybe run a bit on the beach, I might ask Derrick to pick you up and spin you around... My goal is to photograph you two as authentically and natural as possible. Wear clothes that are comfortable and you feel good in, and throw out the props, just come and hang out with me and we'll make beautiful images! I hope that eases your mind a bit! Just remember, I got you girl! ; ) "
As usual, their fears were just figments of their imagination, because the second I started photographing them they were beautiful and so natural! The second I met them I noticed that Luiza and Derrick have a calm and kind energy about them. Their love doesn't need to be boastful or loud, because it's comfortable, like home. 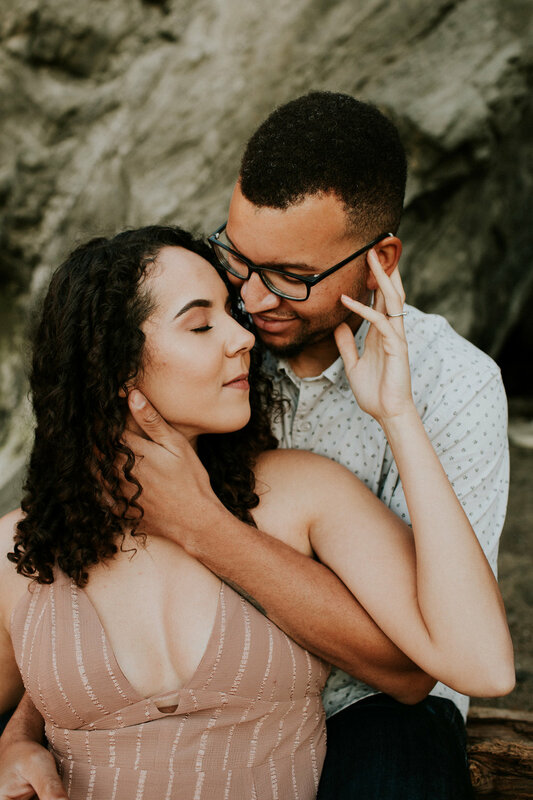 They settled into each other's arms so effortlessly during our shoot, it was easy to get them to close their eyes and just be in the moment, together. They snuggled, laughed, hugged and ran on the beach - and it was magic! THEY are magic! 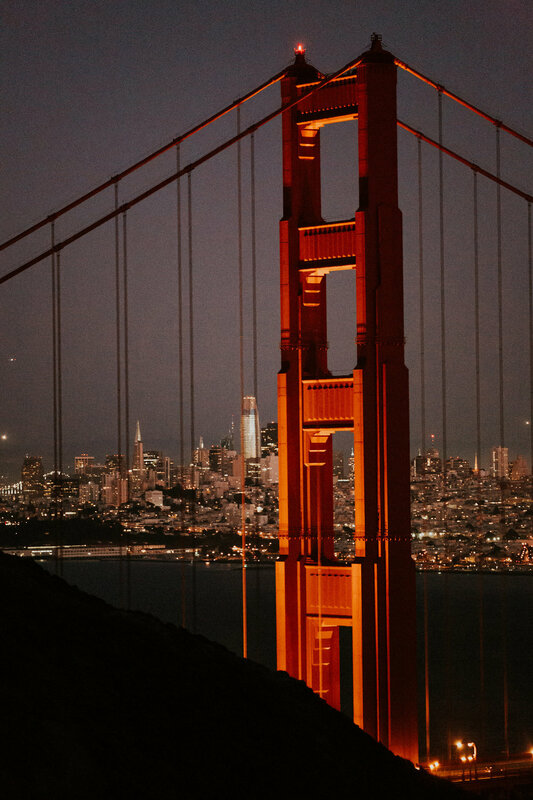 I can't wait to be back in the bay area this June to photograph their wedding!